What do you do, Cancer Clinical Trials Office? Boston Medical Center (BMC) has long been a leader in addiction medicine, and an unprecedented donation will go a long way in bolstering this expertise in Boston and far beyond. At an event on March 6, BMC announced a $25 million dollar pledge from Eilene and John Grayken to form the Boston Medical Center Grayken Center for Addiction Medicine. The Center will help further BMC’s role as a leader in innovative treatment, research and training related to addiction medicine by enabling existing services to be widely replicated and by funding research into new models of care. The gift is the largest in BMC’s history and the largest private gift in the US in the last decade for addiction treatment and medicine. BMC’s leadership is central to the increasingly critical field of addiction medicine. For decades, the hospital has led clinical programming, research, and teaching on substance use disorders and their consequences. BMC has become a national leader in addiction medicine, developing and replicating models for care with tailored treatment programs across the spectrum of patients and care settings. The Grayken family was represented on the program by Eilene Grayken, who spoke of the importance of BMC’s mission to treat the whole person and address social determinants of health, rather than just treating injuries or illnesses. While the Graykens usually donate anonymously, they chose to be public with this donation to help destigmatize addiction and ensure that people get the treatment they need. The last speaker at the event was Sherri Harrison, a long-time BMC patient who is in recovery and who told her story of coming to BMC when she was pregnant and addicted to drugs. Fear of going to the doctor is common among adults and children alike, but for transgender patients, the fear can be even greater. Not fear of getting medical attention per se, but fear of how they might be treated – or mistreated – in the process. A national survey found that about half of the 6,000 transgender and gender nonconforming people surveyed reported avoiding medical attention when they're sick, out of fear of discrimination. At Boston Medical Center, a group of providers, nurses, other employees, and patients is trying to improve the waiting room experience for transgender patients by training receptionists and other front line staff on how to appropriately address patients. The idea for wider education grew out of cultural competency training for nurses that began when BMC opened the Center for Transgender Medicine and Surgery in May 2016. As members of the education and training subcommittee of the Transgender Task Force were training nurses, they realized that providing appropriate care starts before anything medical happens – it begins as soon as a patient’s name is called. A separate task force subcommittee was already working with BMC’s Information Technology Services and Epic, the provider of BMC’s electronic medical record system, to look at ways to make EMRs more inclusive of transgender patients. When Epic announced that their next update, coming in July, would include a space for patients to have the name they commonly use entered into their record and the ability to print wristbands with that name, the two task force subcommittees teamed up to ensure that BMC would use this feature to its full extent. The result is a cultural competency and sensitivity training program for front desk staff, so that asking patients their pronouns and name they commonly use is a routine part of the registration process. The trainings started with areas that are more likely to see transgender patients, such as Surgery and Endocrinology and behavioral health, and will soon be expanding hospital-wide, something that Pamela Klein, RN, the nurse liaison to the Center, says hospital leadership has been committed to. 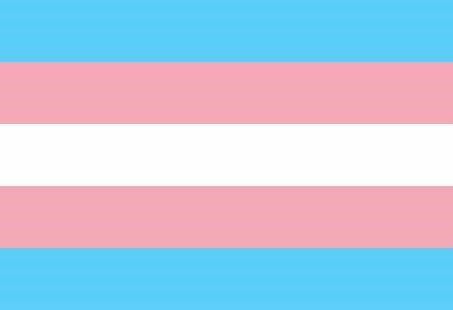 In the fall, privacy requirements on transgender health information will be included in the annual Compliance training for all employees. BMC’s training program has even had an impact beyond the hospital. One of the first departments to be trained was Transport, as they interact with anyone getting surgery at BMC. Transport is contracted to a national third-party company, and when that company released their list of trainings for 2017, Michael Pappas, manager of Transport, noticed that it lacked any training on the needs of transgender patients. The BMC training was very well-received, so Pappas suggested the company add training on this topic. It is now being added to their nation-wide training program. A: We are part of the Section of Hematology and Oncology, but we will work across the hospital with any department conducting a clinical trial that involves cancer. Our research nurses and research associates manage up to 80 cancer clinical trials at a time. We run any study involving cancer, from the treatment of the disease itself to treatment of individual symptoms, quality of life and cancer prevention. We work with multiple protocol sponsors including pharmaceutical companies and groups funded by the National Cancer Institute (NCI). We also conduct studies that are initiated by BMC investigators. Most trials will recruit patients for an average of two years. Once a patient enters the study, they are typically followed for a good period of time – they might be followed for five years, or in some cases, for life, but that happens less often now. As more effective treatment options are identified, people are living much longer with cancer. Cancer is now considered more of a chronic disease than a terminal disease, so the duration of follow-up is often limited to a specific number of years. Pharmaceutical-sponsored and NCI studies are multi-site, and BMC will be one of many national and international sites. Investigator-initiated studies in our department are all conducted solely at BMC. A: We screen for potentially eligible patients by going to patient conferences and reviewing Oncology clinic schedules. Once we identify potentially eligible patients, the treating physician and a member of our team will discuss trials with them. It’s a very long process to inform patients of everything involved in the protocol and often involves an interpreter. We make sure to answer all of their questions and assess their understanding of what they are agreeing to. We continually reinforce this information throughout the duration of their participation. We also work with cancer care navigators to help address patients’ social issues, such as lack of transportation and other barriers to attending visits. If a patient is enrolled in a study, the nurse will see them at every visit. The nurse is responsible for coordinating all aspects of the protocol, making sure the patient’s lab results are sufficient, making sure the dose is properly ordered, ensuring all scans and testing are done, and documenting everything. Research associates collect data from the medical record and enter it into the sponsor’s database. They also process and ship tissue and blood specimens for most protocols. The whole purpose of research is to find the answer to a question, so there’s a lot of coordination and communication with both sponsors and physicians to make sure that the data is correct and will help answer the question for a particular study. We also have frequent study monitor visits and audits for various studies. The studies are all highly regulated and reviewed frequently. 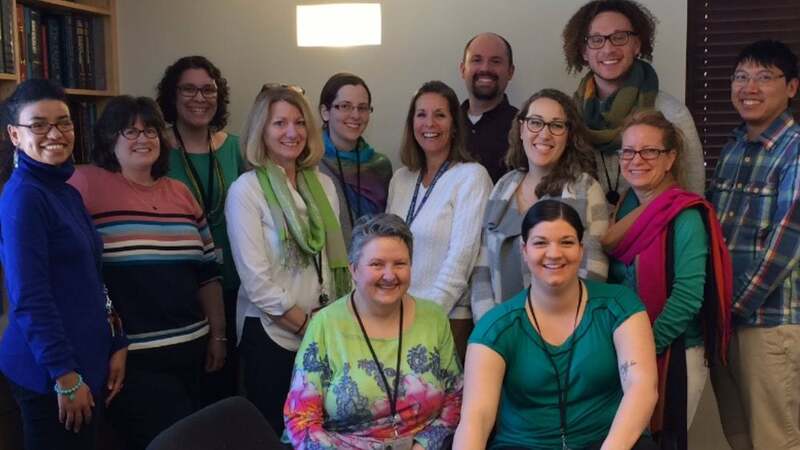 Q: What’s one thing staff probably don’t know about the Cancer Clinical Trials Office? A: One thing that we want everyone to know is that the National Comprehensive Cancer Network (NCCN) guidelines, which the medical community follows for cancer treatment, say that “NCCN believes that the best management of any cancer patient is in a clinical trial.” A lot of people think of clinical trials as a last resort or add-on option but they really should be the first option if available. You can see this when you look at today’s standards of care for cancer, as they’re all treatments that we’ve previously done clinical trials with. With this in mind, our office can help clinic staff and providers conduct trials efficiently and per regulatory guidelines. Q: What does the team like most about working at BMC? A: If you ask anyone in our office, they would likely say the patient population. The patients are at the top of everything for us, whether it’s being able to offer trials to patients, assisting patients going through this journey, or being able to see someone succeed or have good responses. You definitely work in this group, and at BMC, to fulfill the mission of helping those who are underserved. Obviously we help everyone, but there is something about helping those who may not be able to help themselves that is special. In this office, we take this mission to heart. There’s been a lot of talk about focusing on minorities in enrollment and it can be misconstrued. Some people think that’s a negative, but the reason for it is that most clinical trials across the nation have a very small percentage of minorities enrolled. Therefore, the information coming from those trials tells us whether a treatment is good or bad in a Caucasian, otherwise healthy population. But there are differences in treatment responses and disease trajectory between different races and cultures, so in order to find treatments that are most effective for minority populations, we need to be able to give them the opportunity to be in trials. At BMC, we have the unique opportunity to do that, based on our patient population. We take to heart that all patients need that opportunity and this has always been our mission, even before the national focus on this issue. BMC frequently receives letters from patients sharing their experiences with the hospital. This letter was sent to Kate Walsh, President and CEO. I would like to bring to your attention an observation from my recent hospitalization at Boston Medical Center. Specifically, the cleaning crew responsible for my room did an outstanding job. As I was waiting to be discharged the morning following surgery, a young woman and a man following her instructions thoroughly cleaned every possible surface. It made me realize that there is a full professional team – not just the skilled surgeons such as Dr. Kandadai and seemingly legions of medical personnel, but the commitment to excellence and doing a job correctly by everyone. I feel fortunate to having this great institution as a resource. BMC has been named to Becker's Healthcare "150 Great Places to Work in Healthcare" for 2017. The annual list features provider organizations, including hospitals, health systems and ambulatory surgery centers, as well as nonprovider organizations, such as electronic health record providers and IT vendors. The list recognizes organizations committed to fulfilling missions, creating outstanding cultures and offering competitive benefits to their employees. BMC is the recipient of the YMCA Training, Inc. Employer of the Year Award, which honors the partner company that hires the most graduates of the training program. The program provides intensive, hands-on, innovative technical training to enable people in poverty to move into thriving self-sufficiency through professional skills training and employment. In the past year, BMC has hired 9 graduates of YMCA Training, Inc. as patient access representatives and ambulatory services representatives. Over the past 20 years, BMC has hired approximately 110 Training, Inc. graduates – with an approximately 80 percent six month retention rate. Marie August, RN, was honored as one of the 10 Outstanding Women in the Greater Boston Haitian Community, at an awards ceremony presided over by Governor Baker. August is a nurse in the Neurology outpatient clinic and is the nurse coordinator and Haitian liaison to the Neurology Global Health Initiative at BMC. In mid-March, StreetCred, which helps BMC patients file their taxes and benefit from the refunds they are entitled to, surpassed $1 million in tax refunds for patients. The program began as part of Pediatrics in 2015 and has since expanded to several BMC-affiliated community health centers.